their agents, just a few months after the Agreement was signed. by SS UK, still very agencies involved in these murders. Below are just a few of the many mainstream media accounts of their activities. Government and their secret service agencies known as SS UK . The National Union of Journalists has expressed grave disappointment at the announcement by the Director of Public Prosecutions in Northern Ireland that a decision has been taken not to prosecute in the Martin O'Hagan murder case. NUJ Irish Secretary Seamus Dooley said the union was disturbed by the announcement. The DPP was quoted as saying the decision was made after careful consideration of "available evidence". NUJ activist Martin O Hagan, a Sunday World journalist, was shot dead in Lurgan in 2001. 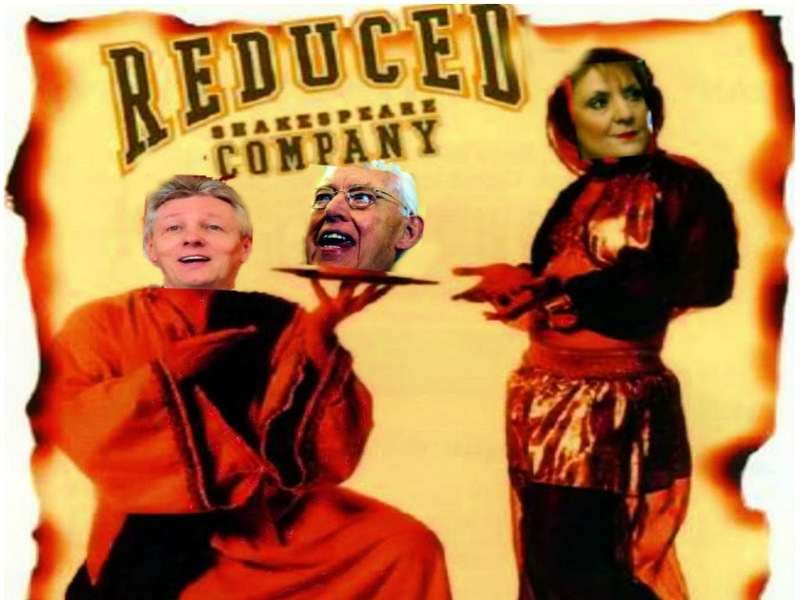 Mr Dooley said: “This union does not accept that the State can walk away from this case. The murder of Martin O'Hagan was an outrageous act of violence which cannot go unpunished. "We will continue to campaign for a full investigation leading to the conviction of those responsible for the murder of our friend and colleague. "Martin's family, friends and colleagues remain determined to see justice done in this case". FAMILY, friends and former colleagues of the murdered Sunday World journalist Martin O’Hagan have expressed their anger after learning his alleged killers will not be brought to trial. Sunday World editor Jim McDowell said he was “disappointed and angry” at the Public Prosecution Service’s decision to drop the murder case. Yesterday’s decision comes after the PPS said evidence given by Neil Hyde, an assisting offender, could not be corroborated. Eight people who were suspected of the murder will now not be prosecuted because of a lack of supporting evidence. Four had been charged over their alleged involvement. Hyde had been charged with the murder of father-of-three Mr O’Hagan (51), who was shot in September 2001. The killing was claimed by the Red Hand Defenders, a cover name used by the LVF and UDA. He referred to “the dangers of convicting on the uncorroborated evidence of an accomplice”. Mr O'Hagan's brother Fintan said the family was bitterly disappointed. “There is a witness who wants to tell a court who killed Martin O'Hagan, yet the PPS are depriving that witness the opportunity of telling the court his account and further depriving the court of the opportunity to consider the truthfulness or otherwise of that evidence and depriving the family, and indeed the public, of the opportunity to see justice in action. “Justice need not just be done, it needs to be seen to be done,” he said. Family lawyer Niall Murphy said they would be considering options which include making representations to Attorney General John Larkin QC over an inquest and potential civil litigation. Mr McDowell ( left) is leading the campaign to bring the reporter’s killers to justice. In March 1999, just months after the signing of the Good Friday Agreement, human rights lawyer Rosemary Nelson was assassinated when a bomb exploded under her car. The attack was claimed by a loyalist paramilitary group but, over the last ten years, there have been several government inquiries into Nelson's murder. The latest one, which has been ongoing since 2005, has dramatically alleged that there may have been some security service collusion in the killing. Rosemary Nelson came to prominence for representing high-profile Republican and nationalist clients. It was no secret that her life was at risk and she had received many death threats - but had always been refused police protection. 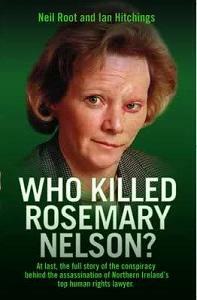 She had even claimed publicly that her life was being threatened by members of the RUC - allegations which have always been denied by the police.As well as investigating the events leading to Rosemary Nelson's murder, author Neil Root drew on first-hand interviews with those relevant to the case. He also examined the striking similarities between her murder and the assassination of lawyer Pat Finucane in 1989. This is a complex and terrifying story of British State terrorism in Occupied Ireland. David Cameron said the Government was ‘deeply sorry’ yesterday after a report into the murder of solicitor Pat Finucane found the security services colluded with the loyalist terrorists who killed him. 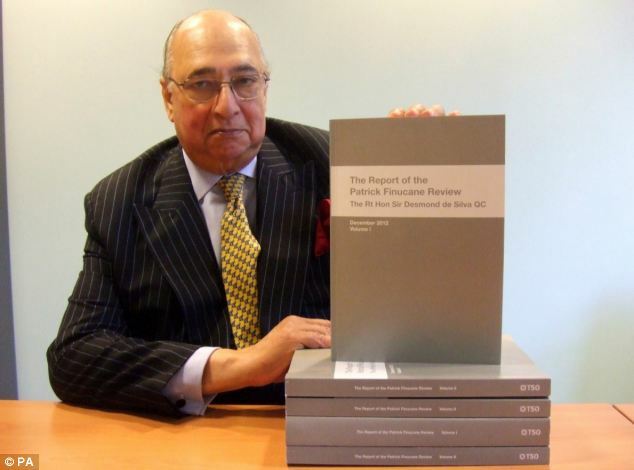 A review of the case by Sir Desmond de Silva, QC, found the father-of-three would probably not have been executed by the Ulster Defence Association without the encouragement of British agents. Sir Desmond said state employees ‘furthered and facilitated’ the shooting of the 38-year-old, who was gunned down in front of his family in 1989. But his finding that there was no evidence of an over-arching conspiracy involving ministers or security chiefs to target Mr Finucane sparked calls for a full public inquiry. The widow of murdered Belfast solicitor Mr  Finucane slammed a report into his death as 'a sham... a whitewash... a confidence trick'. Geraldine Finucane said Sir Desmond de Silva's report was 'not the truth' and renewed her call for a full public inquiry. In a Commons statement today, David Cameron admitted Mr Finucane might still be alive had police and state agencies not colluded in his murder. The Prime Minister said the 'appalling crime' was the result of 'shocking levels' of state collusion and apologised on 'behalf of the government and the whole country'. The de Silva review into the 1989 killing found that state employees actively 'furthered and facilitated' the loyalist murder of Mr Finucane. But the victim's family have criticised the review, insisting only a full public inquiry will reveal the truth about his murder. The 38-year-old was shot in front of his wife and children at home by loyalist paramilitaries from the Ulster Defence Association in 1989. 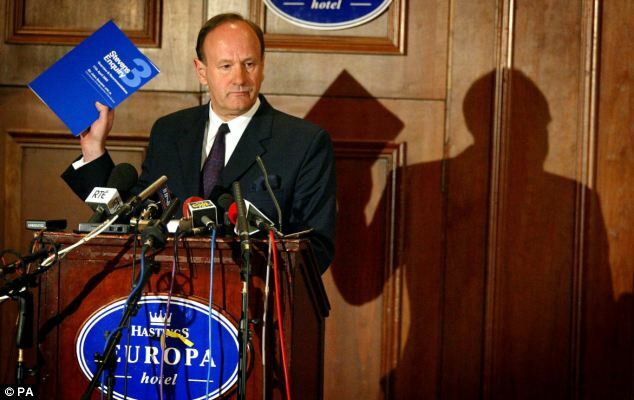 At a press conference after the review was published, Mrs Finucane accused the British Government of suppressing the truth while attempting to blame dead individuals and disbanded organisations while exonerating ministers, serving officers and existing security agencies. Mrs Finucane said: 'Yet another British government has engineered a suppression of the truth behind the murder of my husband, Pat Finucane. 'At every turn it is clear that this report has done exactly what was required - to give the benefit of the doubt to the state, its Cabinet and ministers, to the Army, to the intelligence services and to itself. 'At every turn, dead witnesses have been blamed and defunct agencies found wanting. Serving personnel and active state departments appear to have been excused. 'The dirt has been swept under the carpet without any serious attempt to lift the lid on what really happened to Pat and so many others. Mr Cameron told the Commons said the review had found the Army and Special Branch had advance notice of a series of assassinations planned by the loyalist paramilitary group, the Ulster Defence Association (UDA), but nothing was done. The review found a 'relentless' effort to stop justice being done with Army officials giving the Ministry of Defence highly misleading and inaccurate information, Mr Cameron said. Successive UK Governments are accused of a 'wilful and abject failure' to properly control secret agents within paramilitary groups. 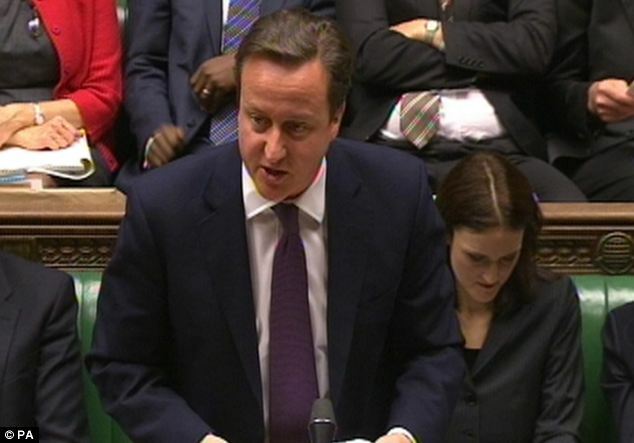 Mr Cameron said: 'It is really shocking this happened in our country. Collusion demonstrated beyond any doubt by Sir Desmond, which included the involvement of state agencies in murder, is totally unacceptable. 'We do not defend our security forces or the many who have served in them with great distinction by trying to claim otherwise. Collusion should never, ever happen. The review found no evidence that any Government was informed in advance of Mr Finucane’s murder or knew about the subsequent cover-up. Sir Menzies Campbell, former Lib Dem leader, said he had never heard a statement in the Commons which filled him with more 'revulsion'. However, today Mr Finucane's son John said he could not believe that there had been a public inquiry into newspapers hacking mobile phone messages but not into state involvement in the death of a British lawyer. ‘We're talking about the murder of a lawyer in the UK,’ he told BBC Radio 4’s Today programme. ‘I rather flippantly announced last year that I thought it would have been easier if my father's phone had been hacked rather than being killed. That's not in any way to disrespect the victims of phone hacking. 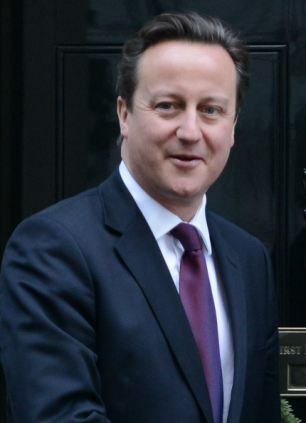 Mr Cameron has apologised more than once for the collusion between police and the loyalists responsible for the murder. The Finucane are unhappy that in 2001 the British government agreed during peace talks to meet honour for public inquiries into deaths. Of five recommended, four were held but in Mr Finucane's case it was rejected. The loyalist paramilitaries shot Mr Finucane 14 times as he sat eating a Sunday meal at home, wounding his wife in the process. The couple's three children witnessed the attack. The former head of the Metropolitan Police in London, Sir John Stevens, has previously investigated collusion claims surrounding Mr Finucane's death. 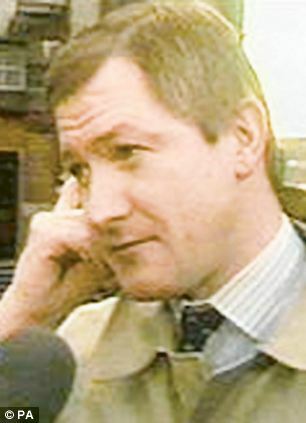 Shortly after starting the new inquiry, the Stevens team charged former Royal Ulster Constabulary Special Branch agent and loyalist quartermaster William Stobie in connection with the killing. 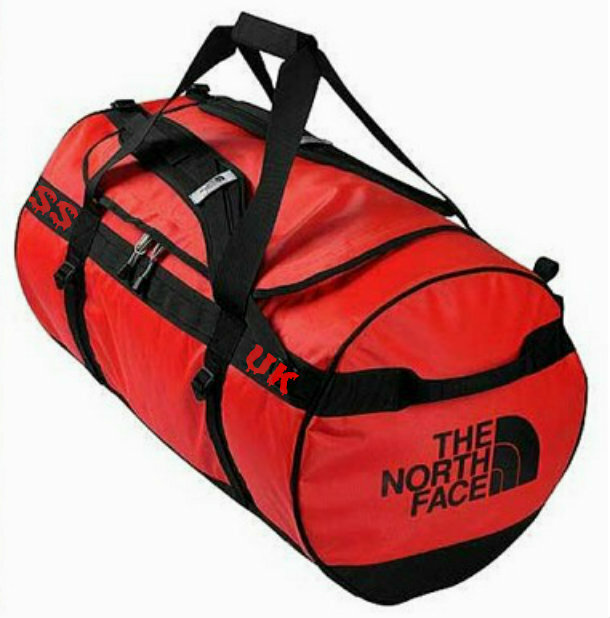 But in November 2001 the case collapsed and he was shot dead outside his home within weeks. In September 2004 a loyalist accused of murdering the solicitor pleaded guilty to murdering him. Ken Barrett entered his plea at the beginning of his trial. In 2004, retired Canadian judge Mr Justice Peter Cory, asked by the Government to investigate cases of suspected collusion, concluded that military and police intelligence knew of the Finucane murder plot and failed to intervene. He recommended a public inquiry. That year, Barrett was sentenced to 22 years' imprisonment. In 2004, then Northern Ireland Secretary Paul Murphy announced an inquiry under new legislation introduced in 2005. 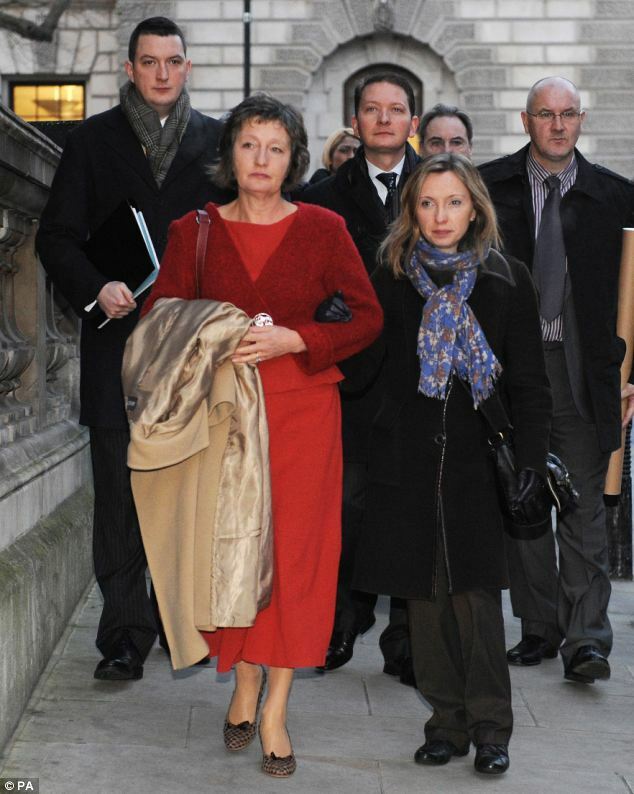 The Finucane family opposed the Inquiries Act 2005, arguing it would allow government to interfere with the independence of a future inquiry because a government minister could rule whether the inquiry sat in public or private. As a result, plans to establish an inquiry were halted by former Northern Ireland Secretary Peter Hain. In October 2011, the Government ruled out a public inquiry into Mr Finucane's murder but put forward a proposal for a leading QC to review the case. That review is to be published today.